Ministry of Finance, Economic Affairs, Statistics, and Revenue has issued SRO 833 (1)/2018 on 3rd July 2018 allowing the import of vintage cars in Pakistan. As per the SRO, the Federal Government has exempted vintage or classic cars and jeeps from all kinds of taxes including customs duty, regulatory duty, additional customs duty, Federal excise duty, sales tax and withholding tax in favor of a cumulative amount of US dollars five thousand per unit. This means that the tax will not vary according to the engine capacity of the car but, will be imported at a fixed duty rate. This is first of its kind initiative for the import of vintage cars and jeeps into the country. 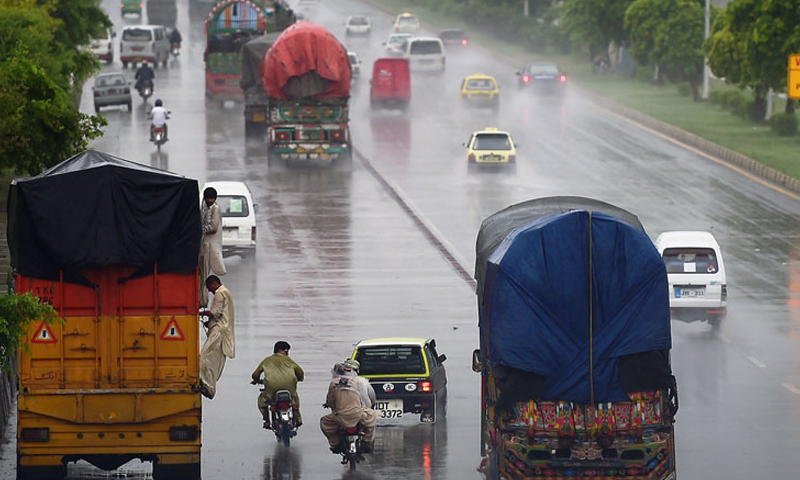 It was proposed in the budget 2018-19 by the then PML-N government. 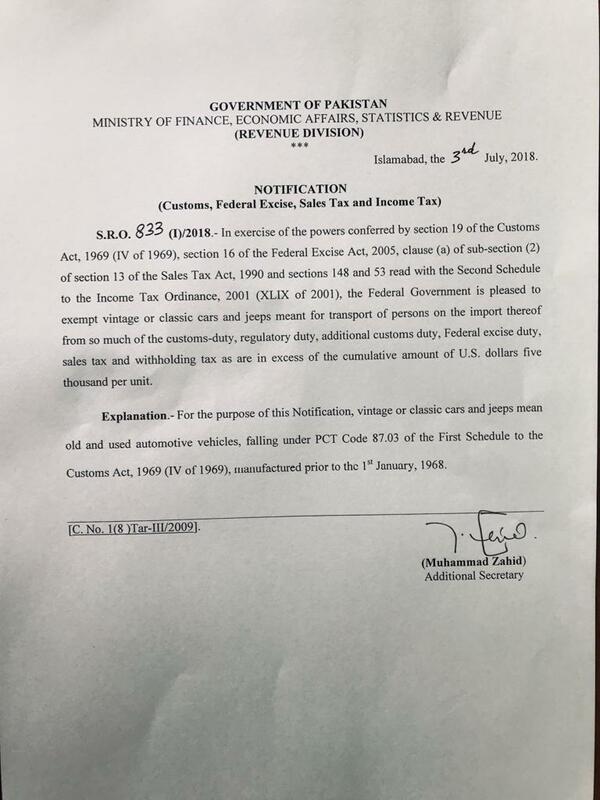 However, it is imperative to mention here that technically as of now one cannot import vintage or classic cars and jeeps after this SRO 833 (1)/2018 as it will only validate after Ministry of Commerce issue SRO in this regard. After that, the import of vintage cars will begin. 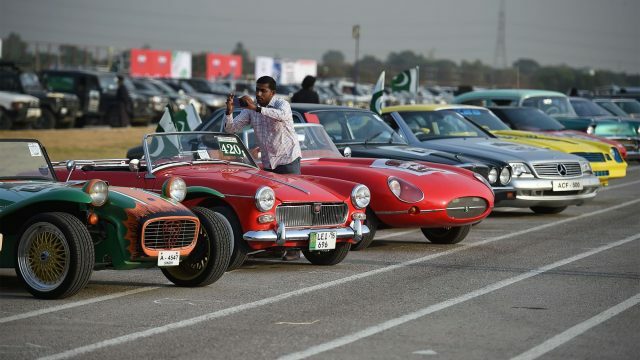 Read Also: Will the government grant concession on the import of vintage and classic cars? We also contacted to the President of VCCCP, Mohsin Ikram, and he also reiterated that an SRO has been issued in favor of the import of vintage cars, however, the final approval of Ministry of Commerce is still required. The authority will issue an SRO to allow the import of vintage or classic cars, he further said. We hope that the ministry will give its approval in next few days, he added. If the Ministry of Commerce gives green signal then it would indeed be a good step, as this will create a whole new industry in Pakistan. People can import the vintage or classic cars and jeeps into the country, revamp them and then sell in the international market as labor in Pakistan is cheap and one can get great profit as well. When is the Ministry of Commerce issuing their Concurrence to the SRO 833 ?? and is it open for all to import or only on TR cased ? ?